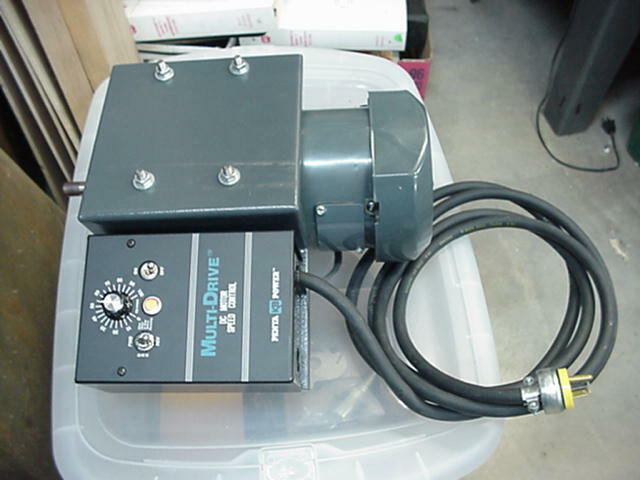 Complete bolt on DC motor package for 10ER Shopsmith. 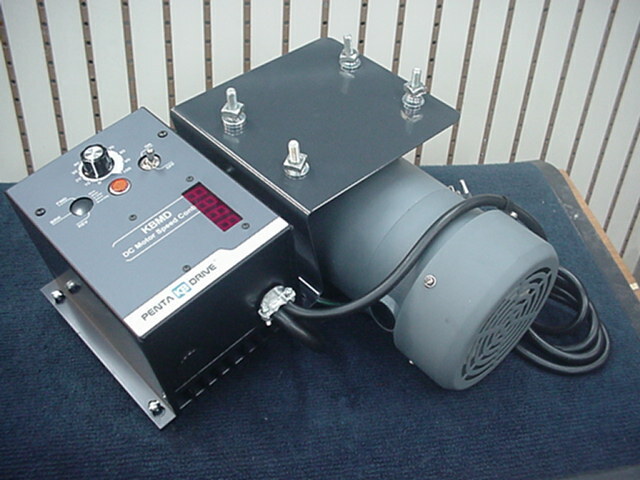 These packages can be built with various motors and controllers when available. 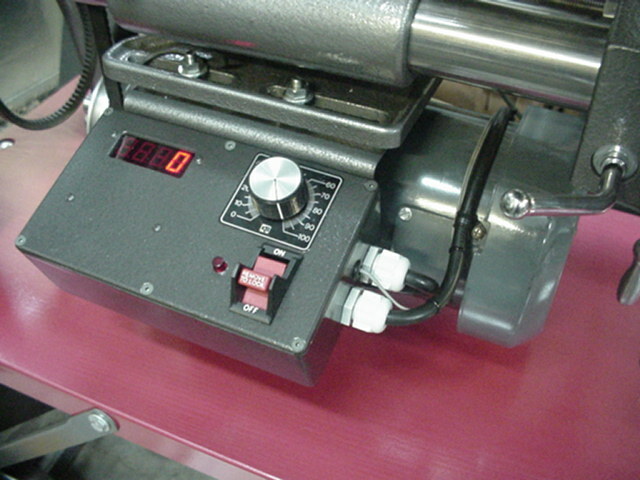 The unit shown here is a commercial type 1 HP TEFC motor and new KBMD-240D controller with a Trexon digital tachometer. 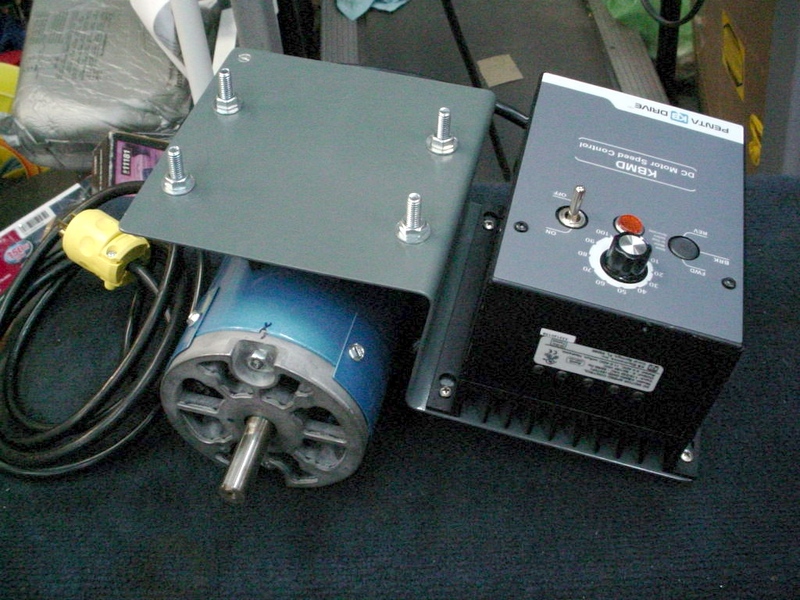 Price varies depending on motor and controller and options selected. Subject to availability. 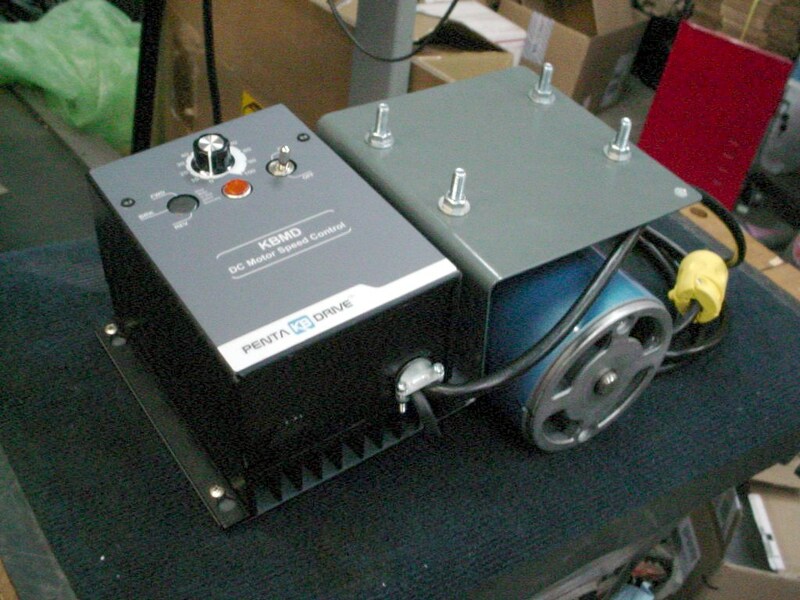 Custom diecast aluminum controller enclosures can reduce the size and improve asthetics, positioning and visibility. 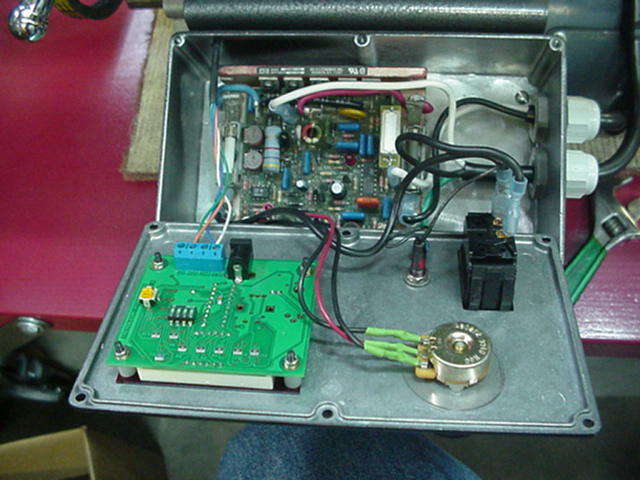 This KBMM controller board and Trexon digital tach are mounted in one diecast box with pot and on/off switch and pilot light. Reversing switches can also be incorporated. Price varies depending on controller, tach, heatsink and other options selected.